Raissa James not only sees the dead but she’s caught the ears of the living–especially now that she’s solved her first case. Word of Pluto’s Snitch, her private-investigation agency specializing in the occult, has spread far and wide. It’s even come to the notice of Zelda Fitzgerald, the nation’s most celebrated flapper. And Zelda’s in need of its services. Along with Reginald Proctor, her partner in detection, Raissa travels to Montgomery, Alabama, where Zelda’s friend Camilla has suddenly become prone to violent fits and delusions. Has Camilla gone mad…or has she been possessed? Raissa and Reginald soon discover that Camilla’s not the only young lady in the area to fall victim to something unnatural. Now it’s up to the Snitches to follow the clues and save Camilla, locked away behind the walls of the formidable Bryce Hospital asylum. But the key to her rescue might not lie among the living at all. Because Raissa knows that the dead have their secrets, too. And receive a free e-novella as a welcome gift! 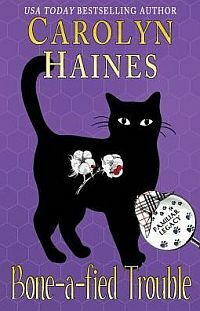 Carolyn is giving away a paperback edition of BONE-A-FIED TROUBLE, Book 9 in the Familiar Legacy series. 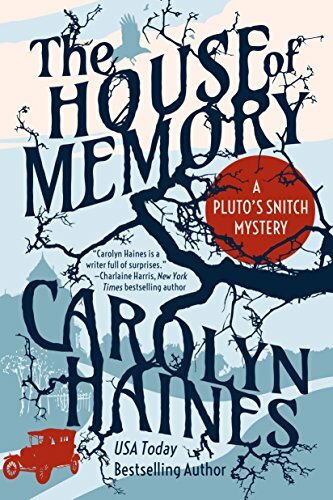 © Copyright 2019 Carolyn Haines. All rights reserved.